Liking a brand’s signature ‘pillar’ scent can be a pretty rewarding experience for a fragrance fan. Not only does that scent invariably arrive with an army of matching body products, but you can be sure that ‘light’ and ‘intense’ variations of the composition are on the cards, enabling you to wear a season-appropriate version of your favourite scent all year round. It’s always great to switch it up, but if you’re truly in love with a certain fragrance, sampling a new version is a thrill. 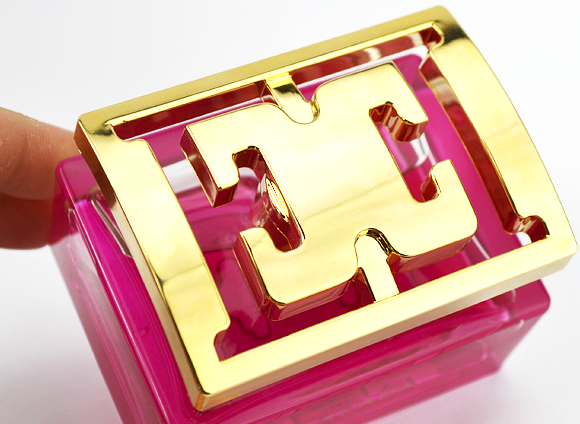 Such is the case with the original Especially Escada Eau de Parfum, a very pretty floral scent launched in 2011. A more ethereal version, Especially Escada Delicate Notes, landed last year. 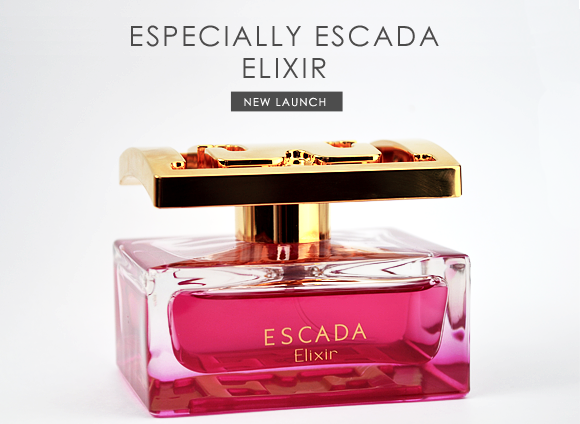 And this week sees the completion of the fragrance trinity with the launch of Especially Escada Elixir, a darker and more velvety interpretation of the Especially Escada spirit. The setting for all three scents is a beautiful rose garden (a special topiary-filled one that just so happens to be frequented by supermodel, Bar Refaeli – we’ll touch upon that later). 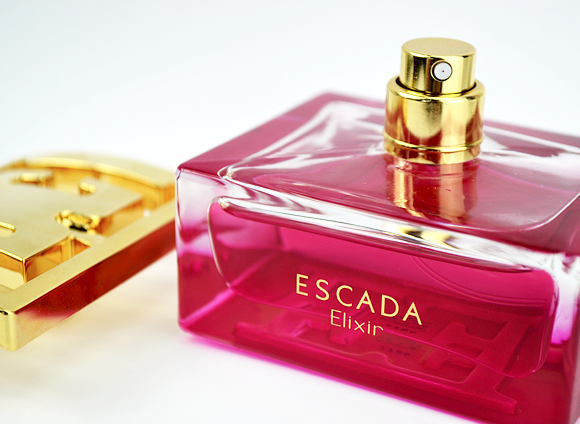 Each fragrance is inspired by the tale of the garden’s roses at a distinct time of day: Especially Escada Delicate Notes tentatively opens its petals in the first light of morning, Especially Escada blossoms fully in the bright light of day, and Especially Escada Elixir releases its warm and languid aroma at dusk. I almost always love the intense version of a scent more than its original. They’re rich, intriguing and tend to place more emphasis on those all-important base notes. The same is true of Elixir, which presents a truly gorgeous combination of plush Turkish Rose and Oriental facets, including patchouli, vanilla and amber. Upon first spray, Elixir is quite a sweet scent – like a summer fruit cocktail with a healthy glug of rose syrup. Very soon afterwards, the musky warmth of ambrette seed and white musks weave their way into the composition, muting the fruitiness with a touch of sophisticated translucency. As the scent develops, it becomes well-rounded with a soft and creamy pairing of ylang-ylang and vanilla. The intensity is never lost, though. Rather, the Turkish rose note becomes more pronounced and increasingly dark as patchouli and amber warm its petals. What begins as quite a candied rose scent ends in sensuous tones of deep, purple blossoms, intense woods and sweet vanilla. 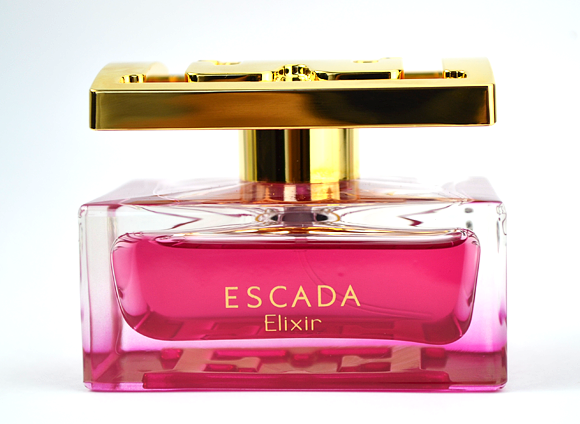 Especially Escada Elixir arrives in a heavyweight, glass flacon with a deep pink juice and golden accents. The cap, featuring the iconic double EE logo, is lightweight but sturdy, and reflects the design of the underside of the bottle. It’s such a pretty bottle – definite dressing table fodder! Check out the above video for a glimpse of the aforementioned Bar Refaeli frolicking in a rose garden and embodying the sweetness of the scent. I really love the giddiness and the romance of this entire line! Escada never fails with its perfumes. I have had quite a few of them in the past. All have the distinctive Escada presence but yet all are different. Love this new perfume, fresh and light but lasts quite a long time. Have previously bought for myself but purchased again as a present for my daughter. Excellent service, arrived the next day, gift wrapped. Very pleased with your prompt delivery. This entry was posted on Thursday, July 25th, 2013 at 9:00 am and is filed under Fragrance, New products, Tried & Tested. You can follow any responses to this entry through the RSS 2.0 feed. You can skip to the end and leave a response. Pinging is currently not allowed.